Police trio Livai Ikanokoda, Meli Kurisaru and Suliano Volivoli are currently in the extended squad for the Fiji Airways Men’s National 7s team ahead of the Hong Kong 7s next weekend. The trio was picked by coach Gareth Baber following improved and impressive outings in the Marist 7s last week. Baber who was particularly impressed with Ikanikoda’s performance has told Fijivillage that he could be making his return to the national side. 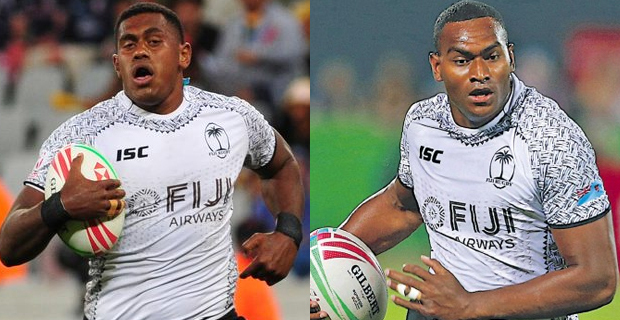 Meanwhile Fiji Airways Men’s National 7s coach Gareth Baber has confirmed that the move by captain Kalione Nasoko and forward Mesulame Kunavula for Scottish club Edinburgh will not affect their availability for the Hong Kong 7s next weekend. Nasoko has recently signed his contract while Kunavula is in his final lap of negotiations with Edinburgh. Baber says that they continue to train with the team and have more focus in place towards the Hong Kong 7s next weekend. He says that the two will be available for Edinburgh from next season where they will join former national 7s players Viliame Mata and Eroni Sau. The team is set to depart for Hong Kong tomorrow with the 13 member squad expected to be named soon.